Warning: Exceptionally long narrative ahead. 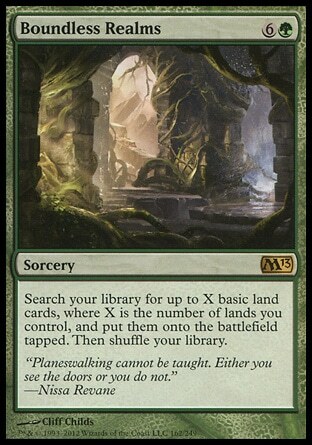 Magic cards are funny things. Grab any two and they can cause a spark of the imagination. Fan that spark a little and it grows. Fan that flame enough and it could grow out of control into a full-fledged wild fire. This is what we call, “inspiration and enlightenment”. 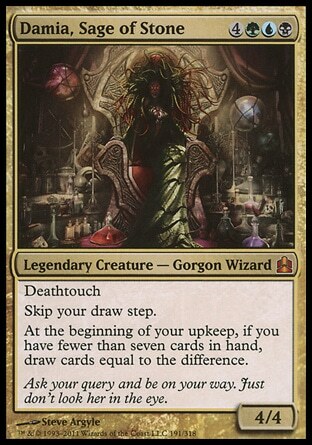 While I once shared a story about how Baroness Teysa, Orzhov Scion convinced me to grant her an army of the undead, her power came from a long line of decisions and experiences that almost became its own legacy. Not all such stories start from such a long time ago, and not all stories feature the same trials. They may not even share the same setting. But the more things are different, the more the stay the same. In the confines of my study, spell books were piled up and pages were scattered everywhere. The bookcases were brimming with graphic novels long since opened.. While I hadn’t been reading the volumes of classic literature that also stocked the shelves, I’ve been pouring over network reports that come in via owl and War Falcon. If there’s one thing I enjoy, it’s the knowledge and stories that great literature provides. I desperately wish to resume my readings, but scholarly affairs and daily duties prevent any leisurely activities as of late. I don’t consider myself a blue mage but I can appreciate the advantages that keeping abreast of current events can provide. As they say, knowledge is power, and I like power. So as I sat in my study, I began sifting through the records, looking for the rest of those legendary figures who came from seemingly nowhere, and composed of mana combinations that were so very rare to find. Kaalia was one such general, as was Ghave prior to his discharge. The unusual powers and strengths these beings possessed still intrigued me. What could I do with that power? Ruhan of the Fomori, a powerful warrior with access to Sunforger and a treasure trove of counter magics that could be channeled with the mighty hammer. I made a note to inform Rafiq that Bruna, Light of Alabaster and The Geist of Saint Traft would soon be serving under a new commanding officer. Riku of Two Reflections, a versatile man who would double anything and everything he got his hands on. But what if he could double cards that were already doubling? What if he could copy the copy spells and be a true mirror mage? I spent a while gathering spells that would serve that purpose. Perhaps we’ll come back to him at a time when his army has been gathered properly. Sufficient to say, support from the Izzet guild has helped tremendously. Both of them were promising commanders, but I had little interest in The Mimeoplasm. I had heard tales of the gelatinous blob taking over battles and destroying all opposition as easily as Ghave had. I’d already cut one commander from under his feet. I didn’t need to go through that again. Damia, Sage of Stone didn’t warrant much attention either. I was never a fan of leaders who required such a high amount of mana-bonds before they saw battle. Karrthus was one of the few exceptions due to his extreme ferocity. But as I looked over her profile, I started to feel something tugging at the back of my mind. It was a thought. If Damia could grant me multiple spells each turn, her power and value would increase exponentially. But to do that, many spells would have to be cast to coax more from her. That would require more mana than I’d ever had access to before. But what if there was a way to cast all of those spells all at once? Something tugged at the back of my mind. Something I’d forgotten about. I ignored it and went along my business. For days though, it persisted. I kept feeling as though I was overlooking something, something magnificent. Finally, I decided to go through the spells that sat around my library, unused and without anyone who could properly use them. As I looked at each scroll, pieces started to fall into place, until I saw a scroll that was still very new. Something ‘clicked’. I was out the door and making the jump through the Aether quickly after that, with plans rapidly forming in my head. Damia’s exact location is unknown, but there were ‘walkers out there who could point me to her general location. Once I found the right plane, Damia’s reputation quickly led me to her. As I walked through the garden leading to her chamber, I saw many statues that littered the domain. Of course they weren’t statues originally. Before I reached the threshold, her attendants came to stop me. Beautiful women dressed in dark green silks, and their eyes were covered by blindfolds just as brilliant as their gowns. “How do you know who I am when you have yet to see my face?” I asked, intrigued. Across the planes? So Damia was using ‘walkers to expand the breadth of her knowledge pool. The seers presented me with a blindfold colored a dark turquoise. I accepted the conditions as I strapped on the blind and allowed myself to be led into the chambers of the gorgon wizard. Although I couldn’t see, the presence she exuded was magnificent. I knelt as told, and waited. I waited…and waited…and waited. “So…you clearly have the patience necessary to garner my audience,” I heard a soft, velveteen voice say. “Am I addressed by the renowned mistress and sage, Damia?” I asked tentatively. “You are, and I know why you are here,” she said. “So you will make the contract with me on those same terms?” I asked, hopeful that this business would be over quickly. She had me there. We had just started negotiating and she was already questioning our potential partnership. I’m wasn’t sure how she even knew about the others that I was working with, but I could safely guess that her agents were better informed than I thought. “I have a wide array equipment that will protect you from harm,” I said, standing up and taking a step forward. I pulled the Mask of Avacyn from the aether and held it out. “I have allies and tools that can accelerate our bonds,” I said confidently. I focused on the mana around me. I called forth a Sakura-Tribe Elder. But as soon as I did, I realised what I’d done. I turned away, hoping I was facing away from her, and continued to summon a Yavimaya Elder, and Solemn Simulacrum. I focused on specific mana floating around to call forth the Oracle of Mul Daya. Feeling the bonds around the plane, I concentrated the mana into my palms. I produced a Wayfarer’s Bauble, and turned back around to present it. “Don’t you have anything…bigger?” she asked. I tossed the bauble a short way and raised my arms in front of me. With some sparks, I was able to bring forth an Armillary Sphere. I took a deep breath, and brought forth all of my energy. I could hear shrubs began springing forth as I cast Boundless Realms. My feet started getting soaked as puddles formed while ooze started dripping from the walls, or at least that was what I could guess was happening. “The Eldrazi? !” Damia shouted. “You think you can actually control the God-beings of Zendikar?! Ignoring that, you can’t say we’d be able to cast them easily! Not unless…” I wish I could’ve seen her expression as everything fell into place for her. “So…” she said. “You seek the full potential of Omniscience. I gave a deep breath. I had made my case. It seemed solid. Would she go for it? “Yes, I do swear by it,” I said. I walked up to her, and gently took her cool hand. Palm to palm, we recited the ancient oath, swearing loyalty to each other. Swearing to be at each other’s side as much as we could possibly be. Just like that, the ritual was done. “Yes we do, my lady,” I said before going towards the door. I planeswalked away with the thought that the seeds of destiny had finally been sown. When they bloomed, there wouldn’t be a mage alive that didn’t cower in their shadow. It was time to take the first steps towards a future that I could only fathom. As always, if you have any comments/questions/ideas for articles/etc, feel free to leave some comments down below, tweet my account @BlueRam1409, or send an email to my inbox at Wiehernandez(at)gmail(dot)com. 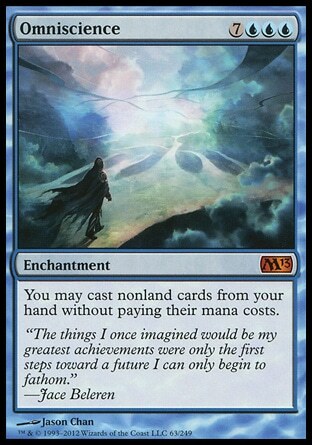 I’m also “BlueRam” on the MTG Salvation forums, if you want to send me a message there. Join me next week when I properly take you through my personal process for creating a nice, “flavorful” decklist. Until then, pay attention to those nagging feelings, ‘least they inspire greater things than you could dream of.